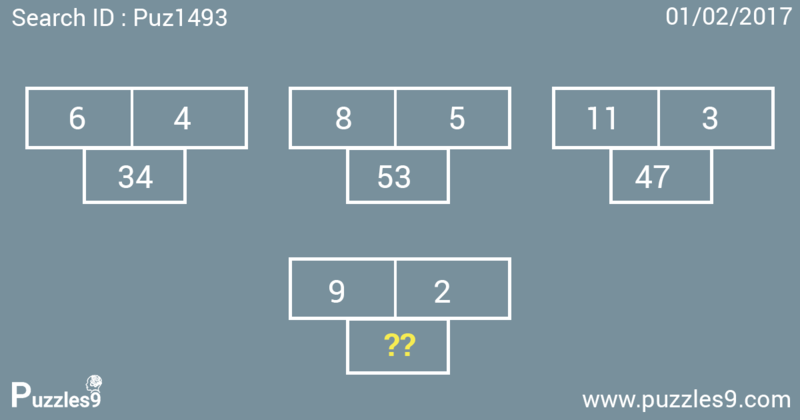 Find missing number in this rectangle filled with numbers. 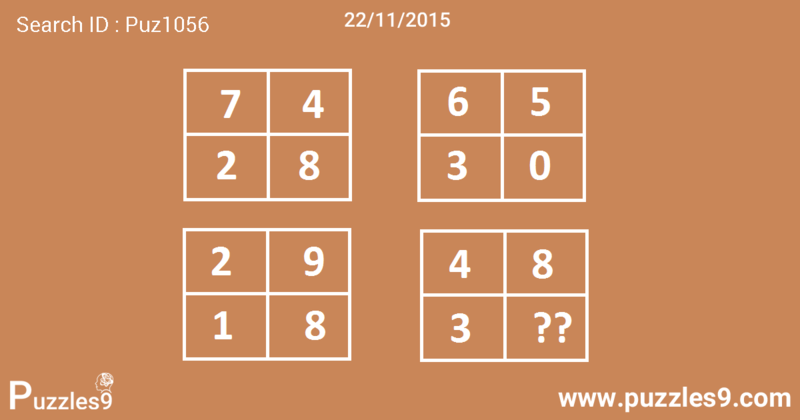 Find the difference of first two numbers in each row and double it to get third number in that row. All three triangles are interconnected. 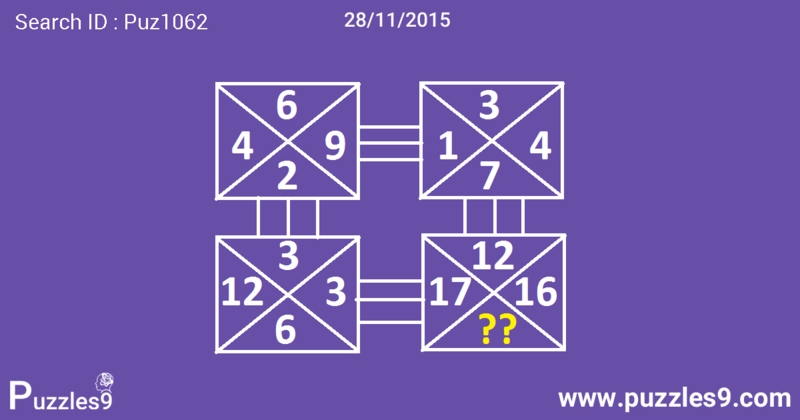 Find the answer by deriving a relation between them. 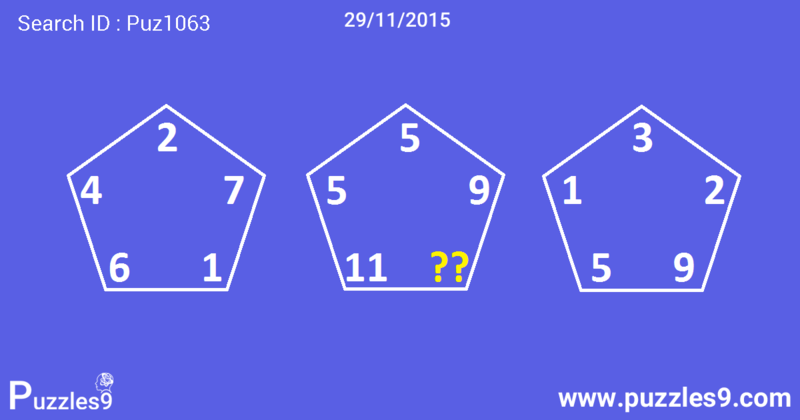 Difference of numbers in first two pentagons is in third pentagon at same location. 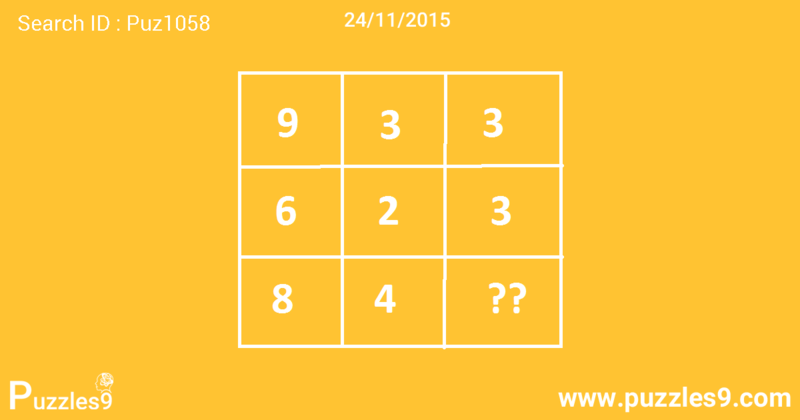 Find the missing number in last rectangle with help of other three rectangles. 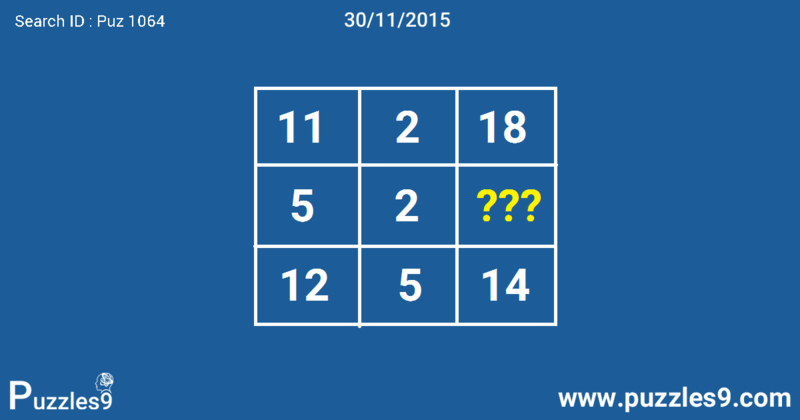 Bottom right rectangle contain result of sum of numbers in first three rectangles at respective positions. Multiply first two numbers in each row and subtract first number from the product to get third number in that row. 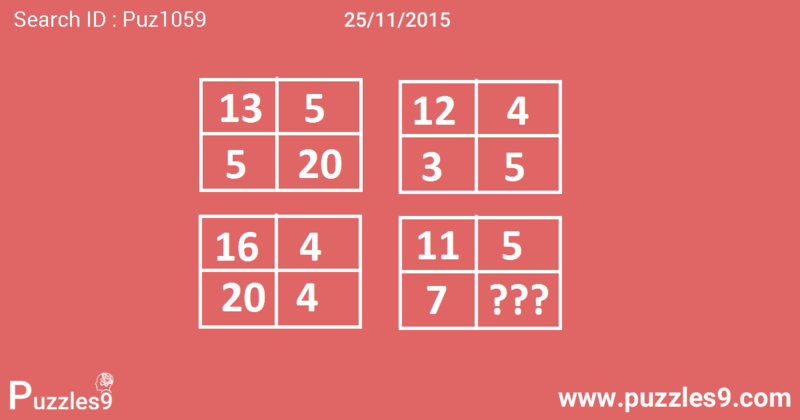 In each rectangle, multiply first row numbers and subtract sum of numbers in second row from it. 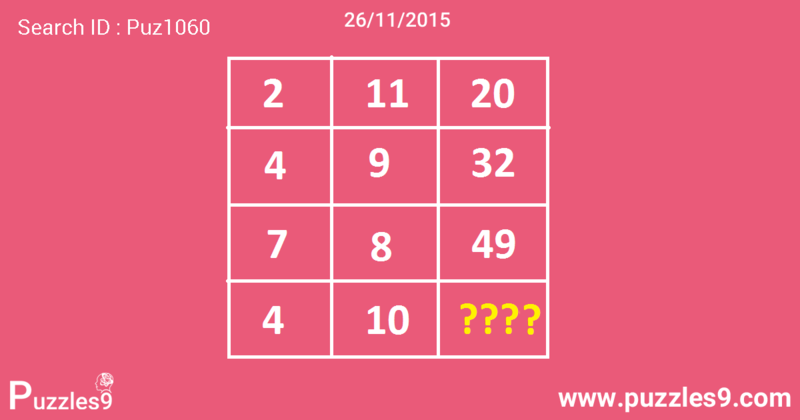 Result of each rectangle should be 40. 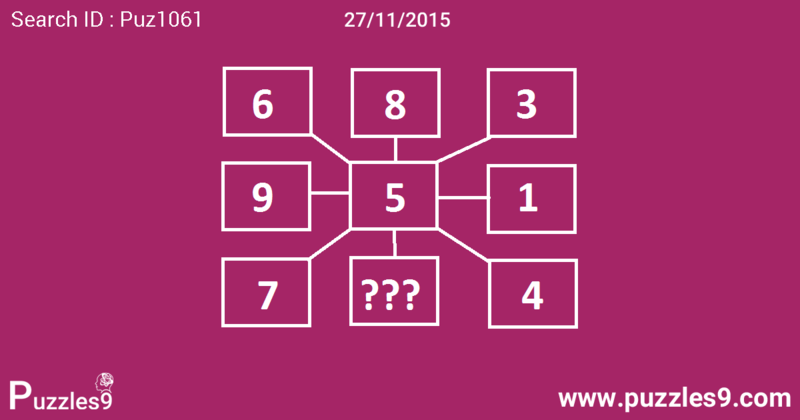 This is extremely easy missing number puzzle. If you don’t know answer by any chance, then scroll down to see answer. 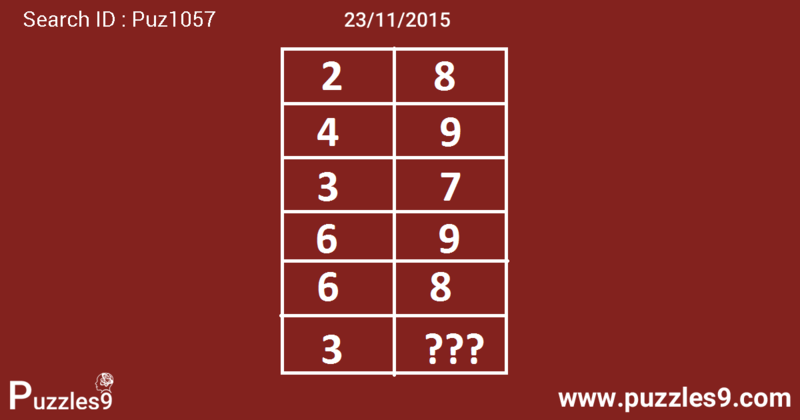 Find the missing number which comes at the end of this table and replaces question mark. Calculate the difference of numbers in each row. it follows a particular sequence like 6,5,4,3,2,1.